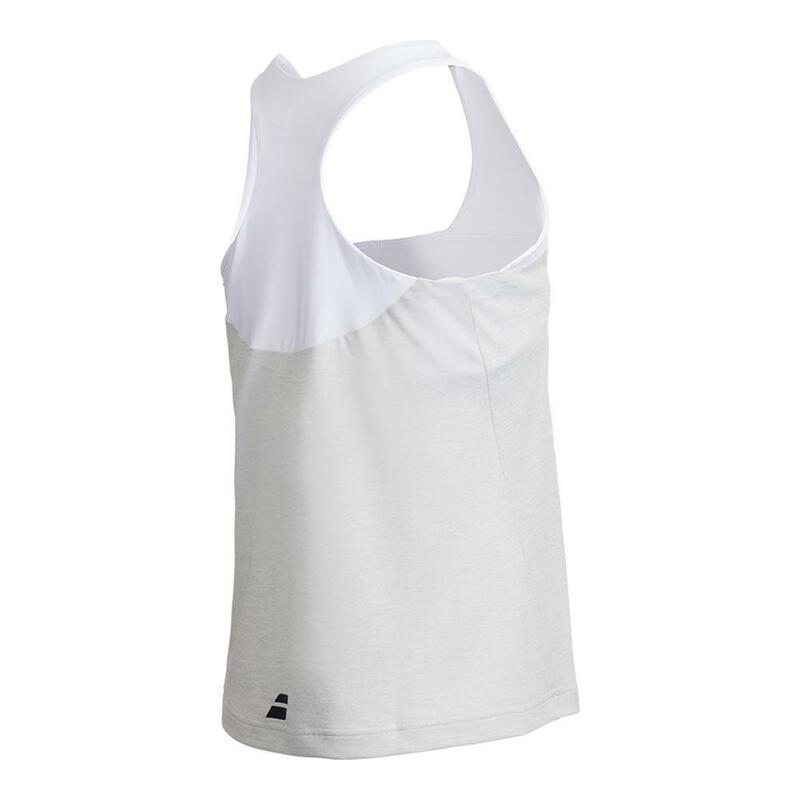 Stand out on the grass courts wearing the Babolat Women's Wimbledon Performance Tennis Racerback in White and White with Gray! 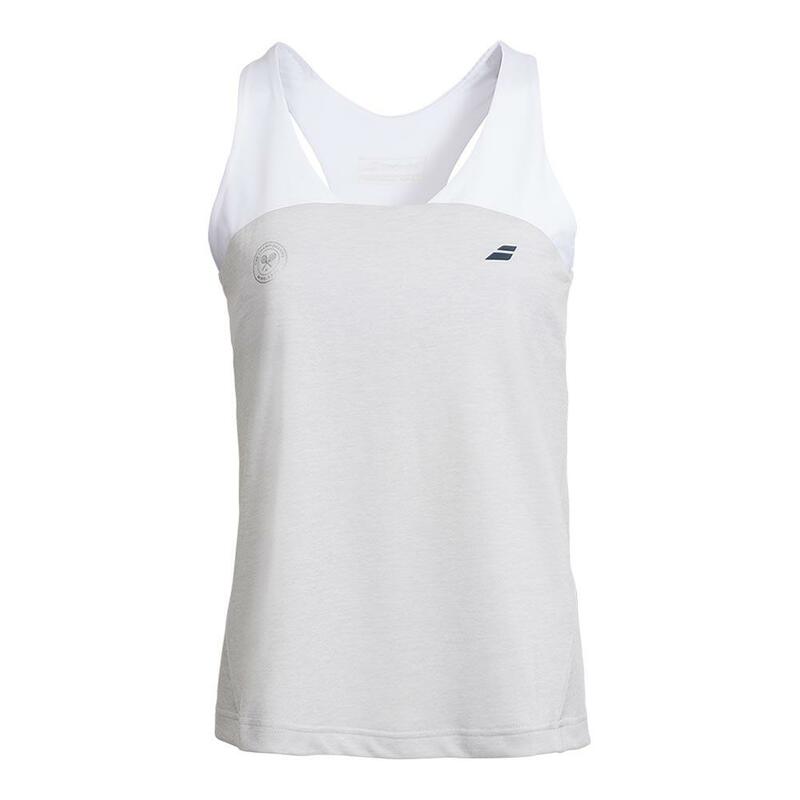 This top get a new upgrade for summer with the Wimbledon logo on the right side fo the chest. 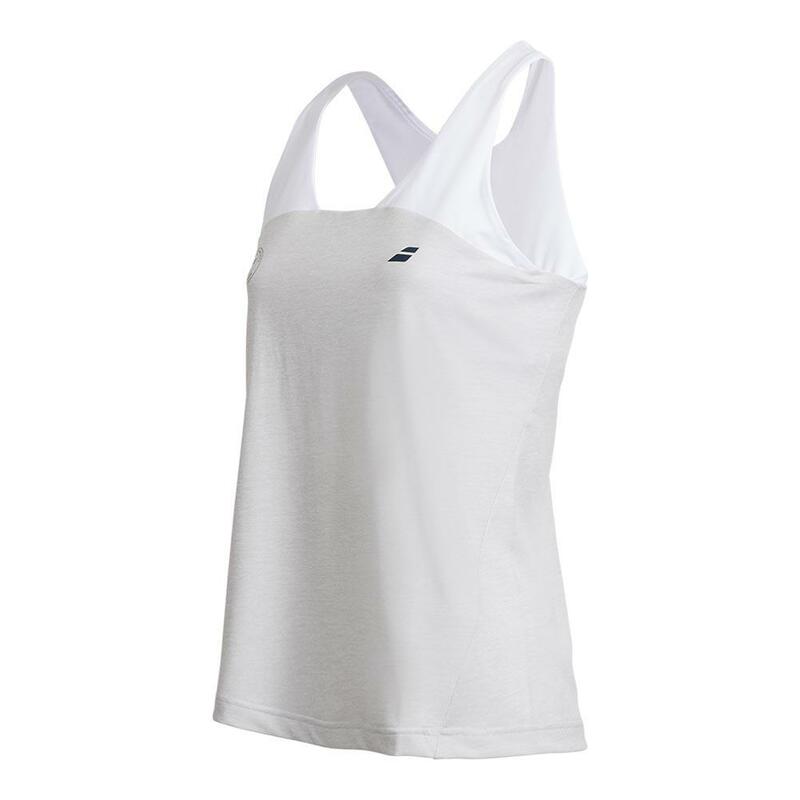 The scoop neck sits between wide straps bring support to the shoulders and neck. Keep full range of motion after every swing with this racerback design.